Your prayer request is received by our Prayer Request Team who will pray on your behalf for the next 30 days. 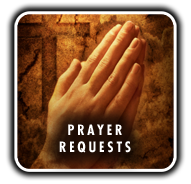 After you submit your prayer request, you will be automatically presented with a link to our prayer resources page where you can find additional support in receiving an answer to your prayer. Please indicate if you desire anyone to contact you and leave us a phone number to call you.